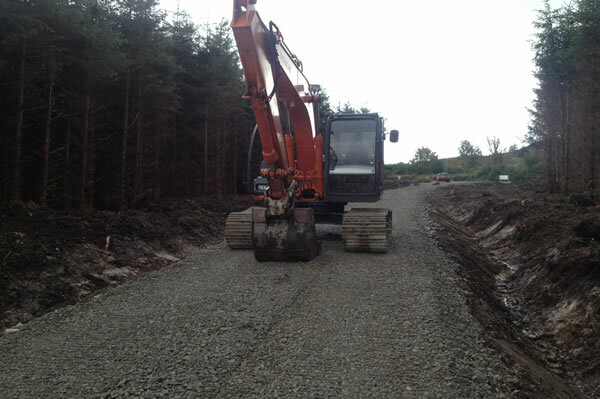 Prior to a thinning operation taking place, a harvesting road needs to be constructed to facilitate the extraction of the timber. 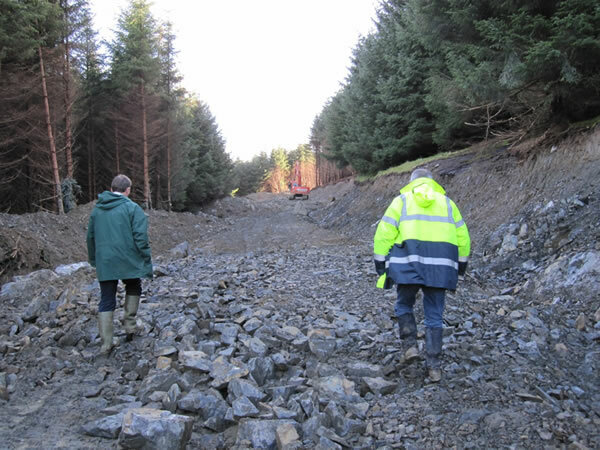 Forest road construction is grant-aided by the Forest Service at the Department of Agriculture at a rate of €40 per linear metre subject to a maximum of 80% of the cost of construction. Well designed and built harvesting roads add infrastructural value to the plantation by decreasing maintenance costs, improving the accessibility of the plantation and facilitating thinning incomes in the long term.